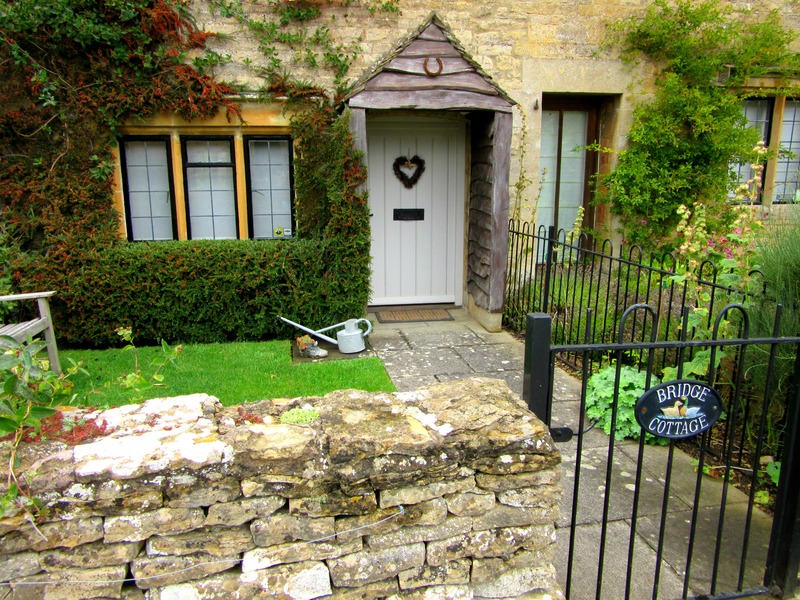 The tiny village of Lacock reminded me of the village from the film Hot Fuzz. Hopefully there are not so many axe murderers here though! 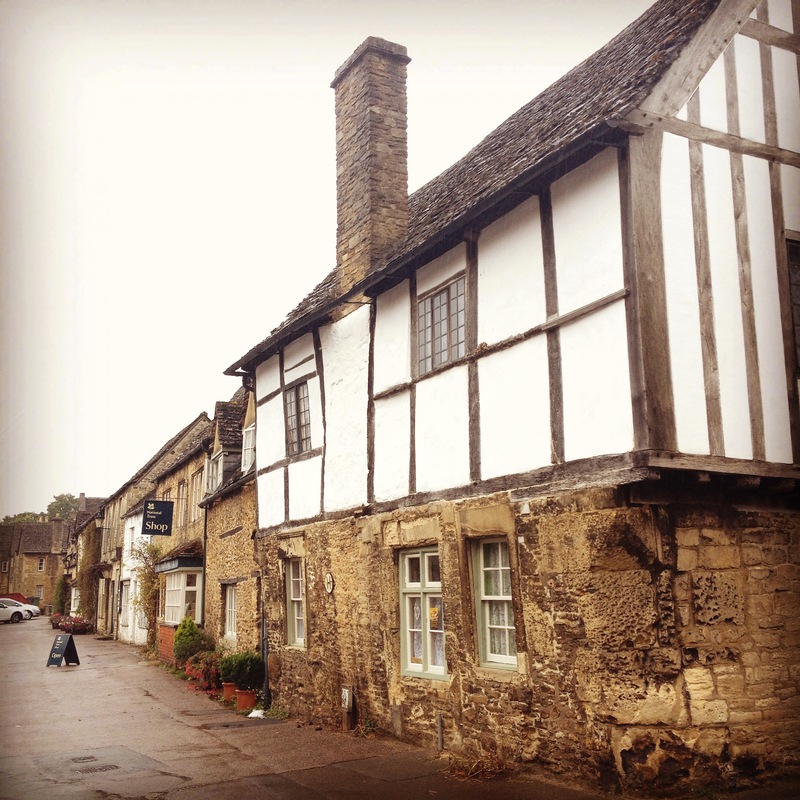 Lacock is home to some of the oldest remaining houses in the UK. 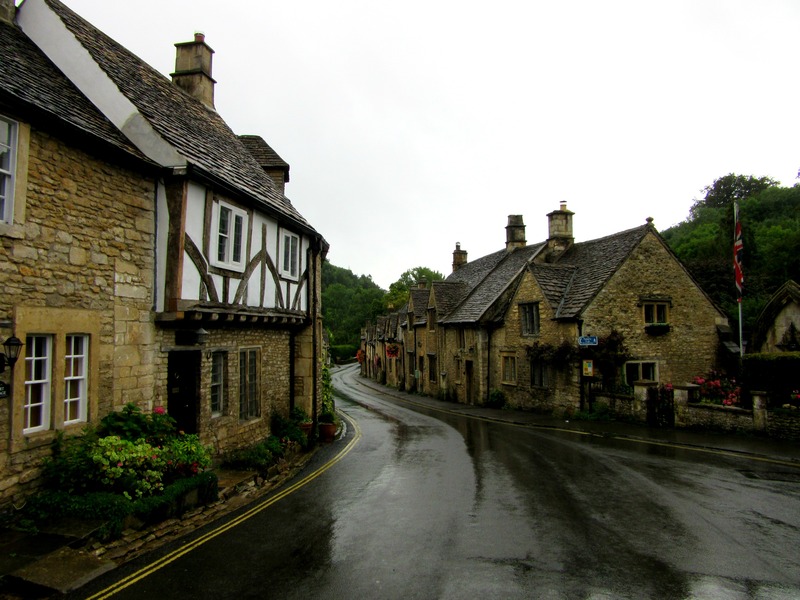 Some tilt forward precariously and look like they’re about to crumble down making it the perfect setting for the many films and TV shows the village can be seen in including Harry Potter and Pride and Prejudice. 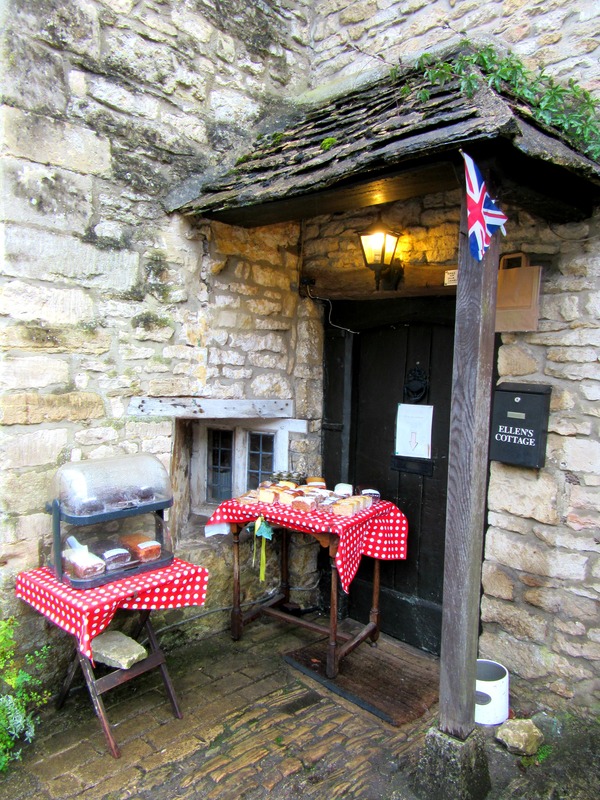 Because every village in the Cotswolds has to have a tea room! 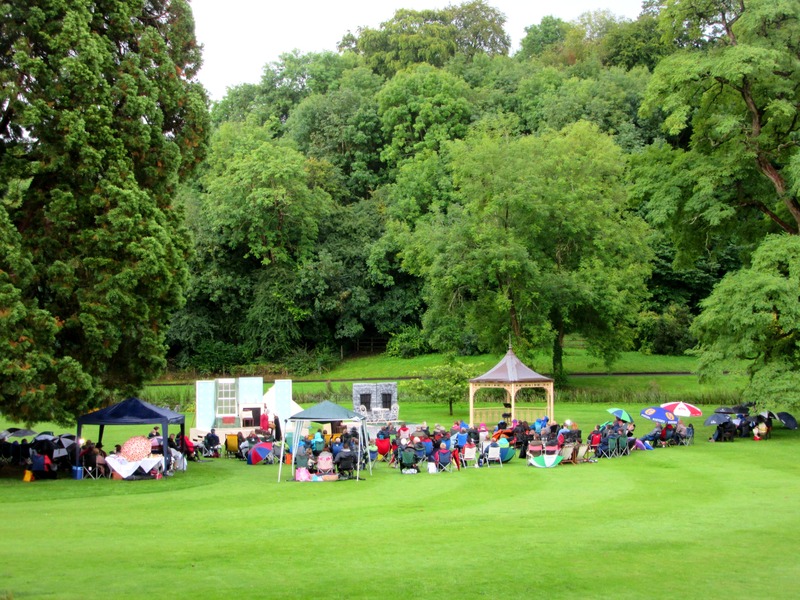 The locals of Castle Combe watching a play on the lawn. 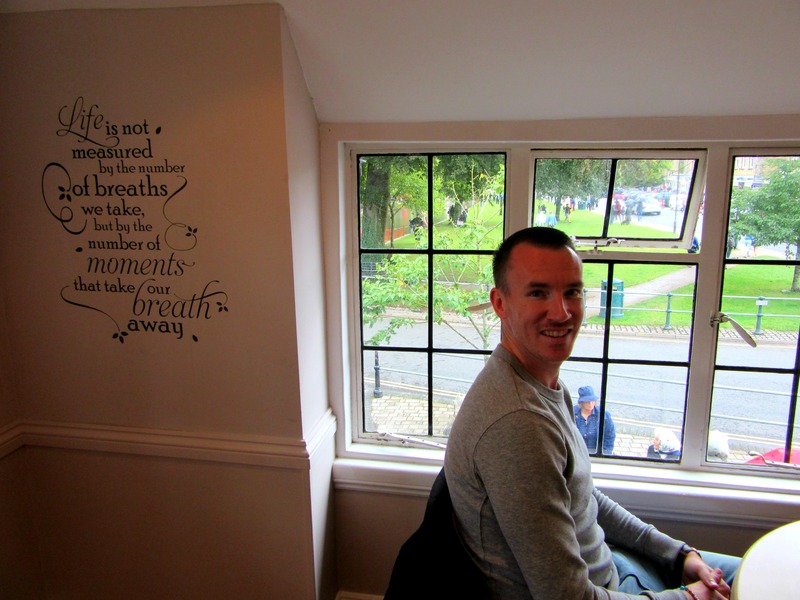 I don’t think you can get any more typically old-fashioned English than that! Cakes sold on doorsteps with an honest box for you to put your money in. 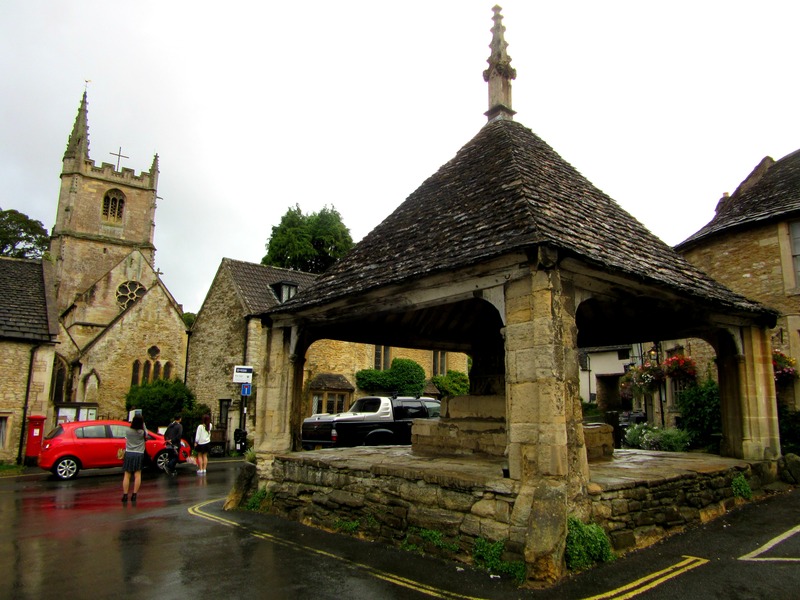 People are a lot more trustworthy in the Cotswolds than they are in London! 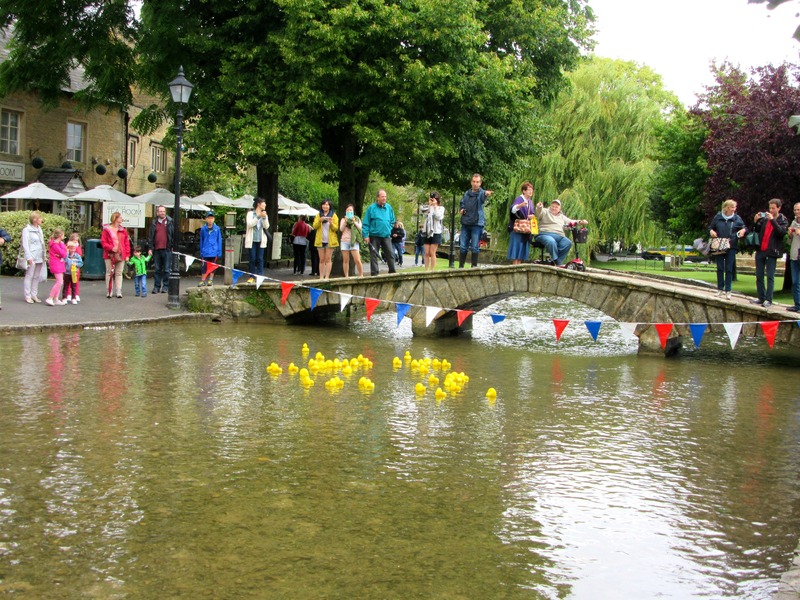 Having fun at the duck races in Bourton on the Water. Mr Ayla loved letting his inner child out here! 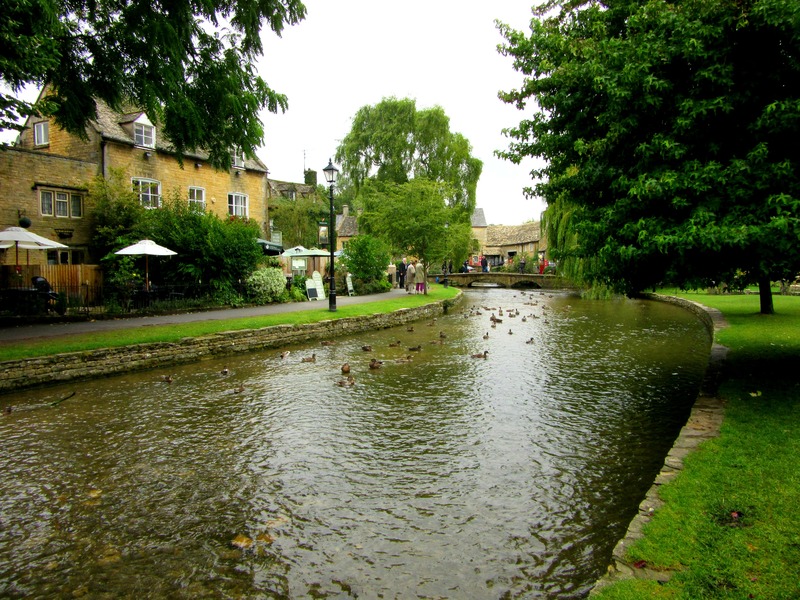 Have you been to the Cotswolds? Which was your favourite village? such gorgeous pics. Love Tudor houses. 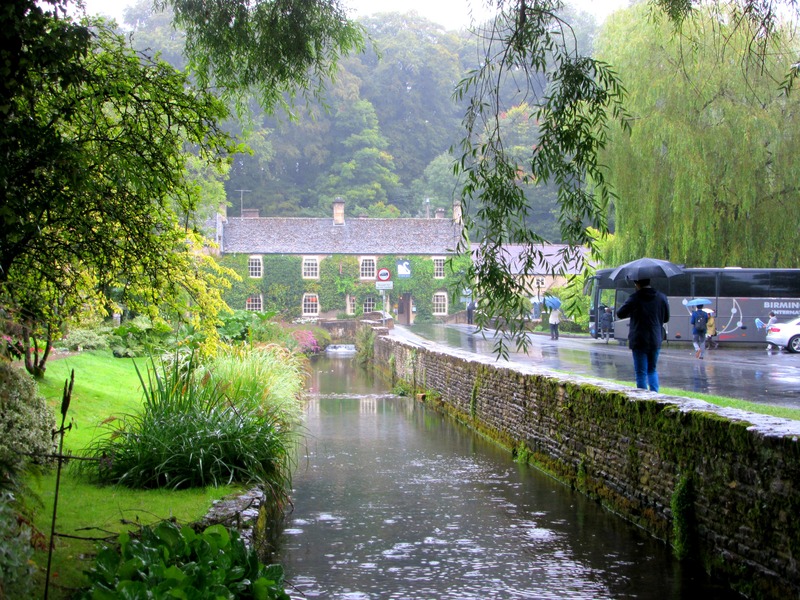 Thanks Emily 🙂 Bibury was one of the prettiest villages we stopped at in the Cotswolds. Just picture perfect. 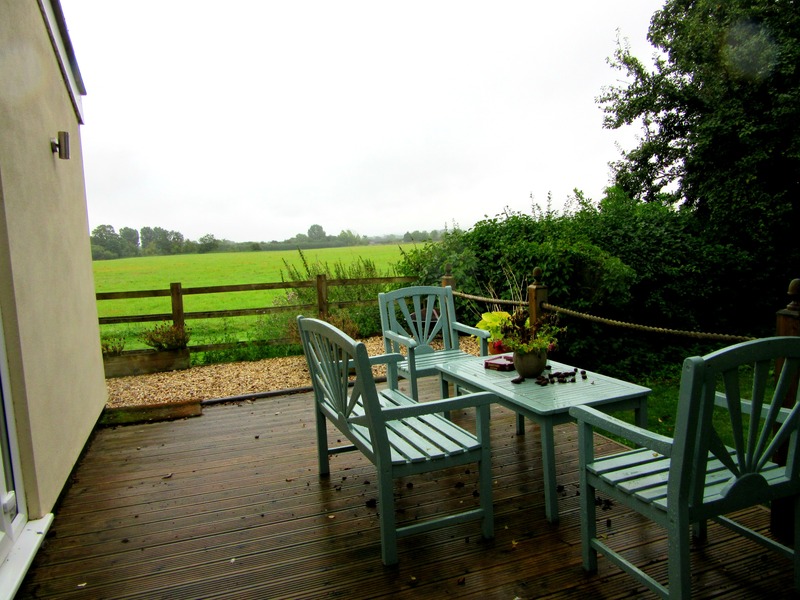 Even in the rain it was still beautiful so any time of year it would be lovely. 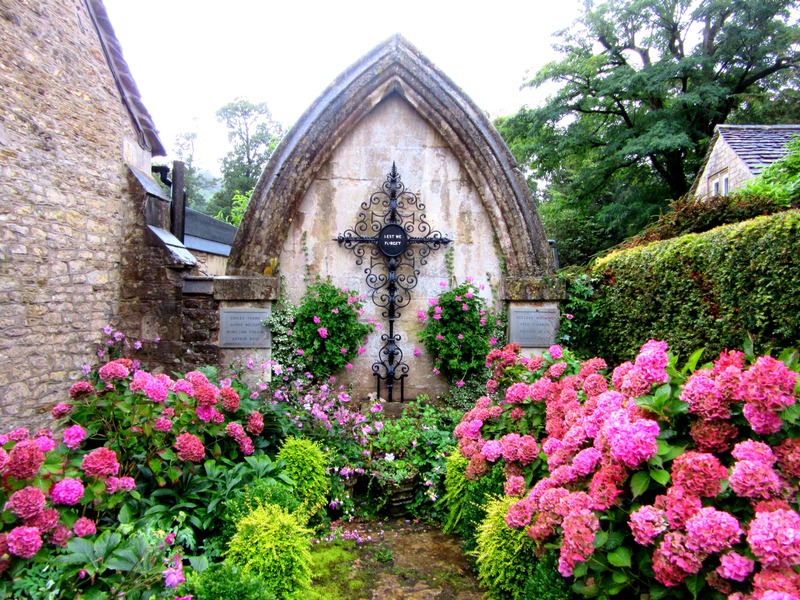 I love everything about this post: pretty villages, flowers, teashops and honesty boxes for cake – I may have to move there! 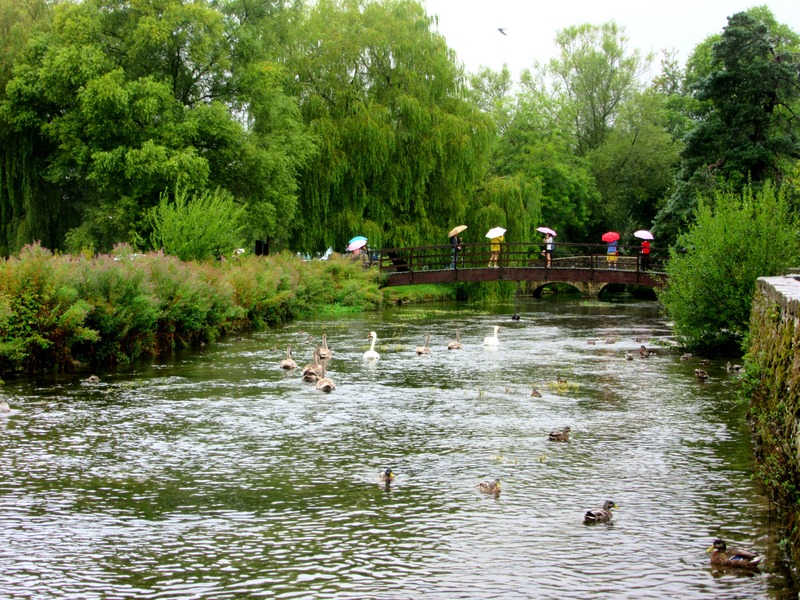 I was once working at a local paper when they asked me to cover a duck race. I arrived expecting that they were going to race real ducks and was very disappointed when I found out it was rubber ones! Haha but by the time we were all finished there would be no cake left for anyone else in the village! 😉 That’s what I thought when Alex told me there was a duck race on! 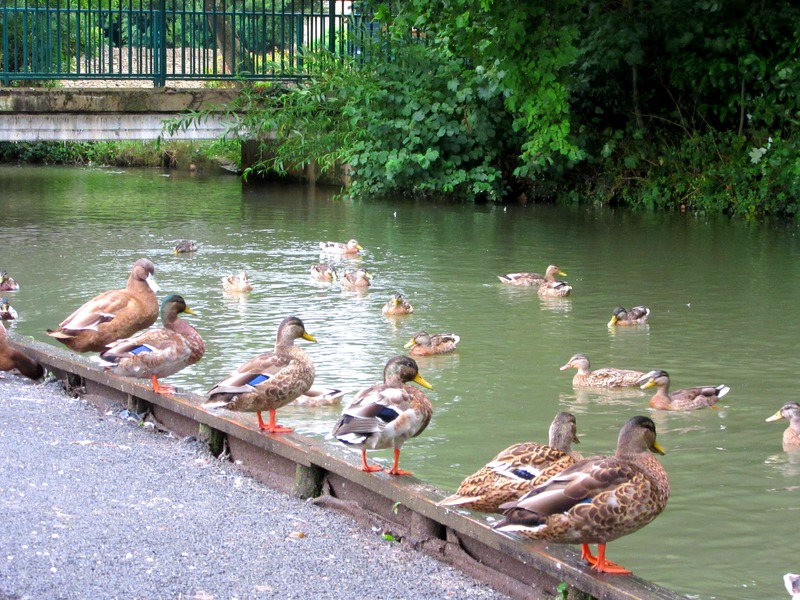 All the real ducks were a bit freaked out by the pretend ones chasing them up the river! 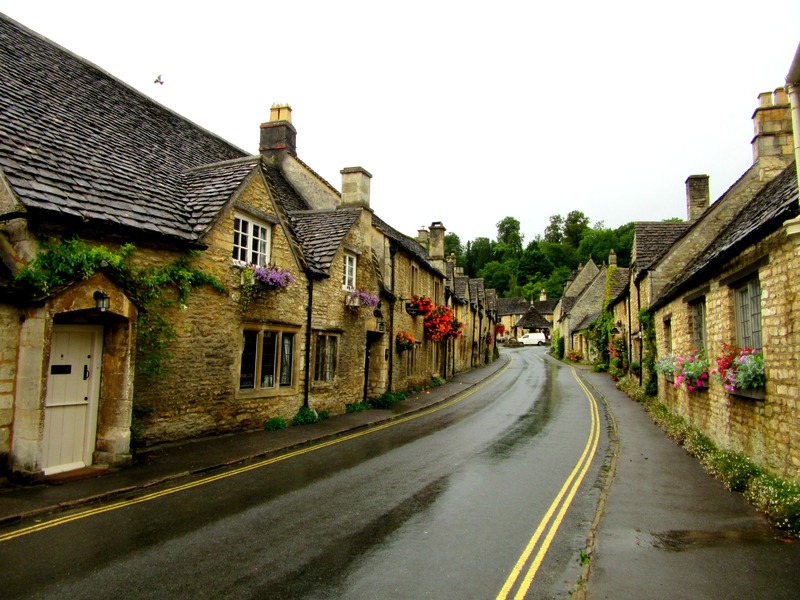 I work just around the corner from Bibury and am lucky enough to drive along the picturesque roads most days. 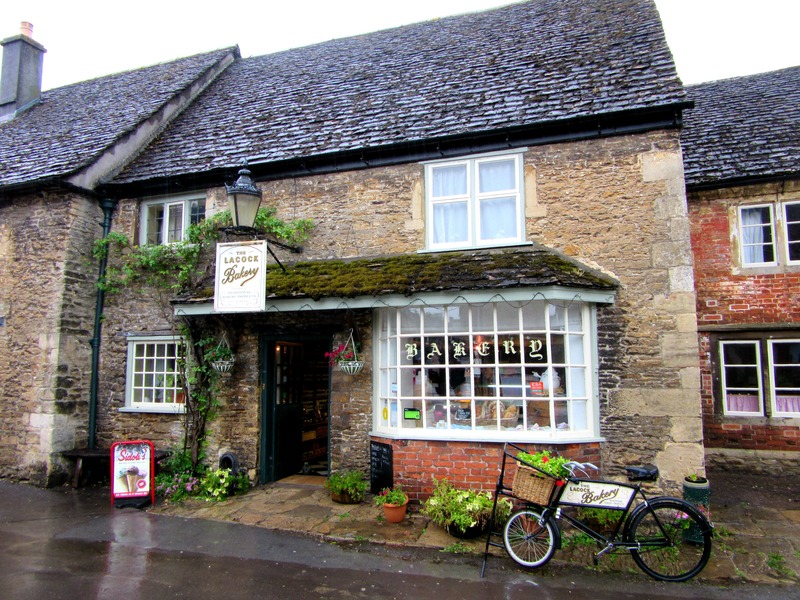 Next time you’re our way, try the 7a Coffee Shop in Fairford – it does THE best brownies in the world. Fact. 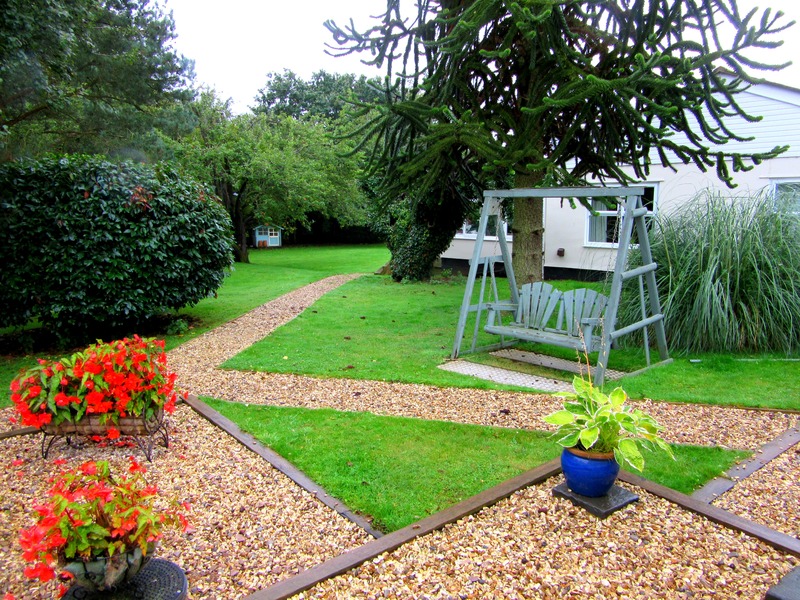 Great place to live especially if the best brownies in the world are right around the corner! Very disappointed I missed out on these! 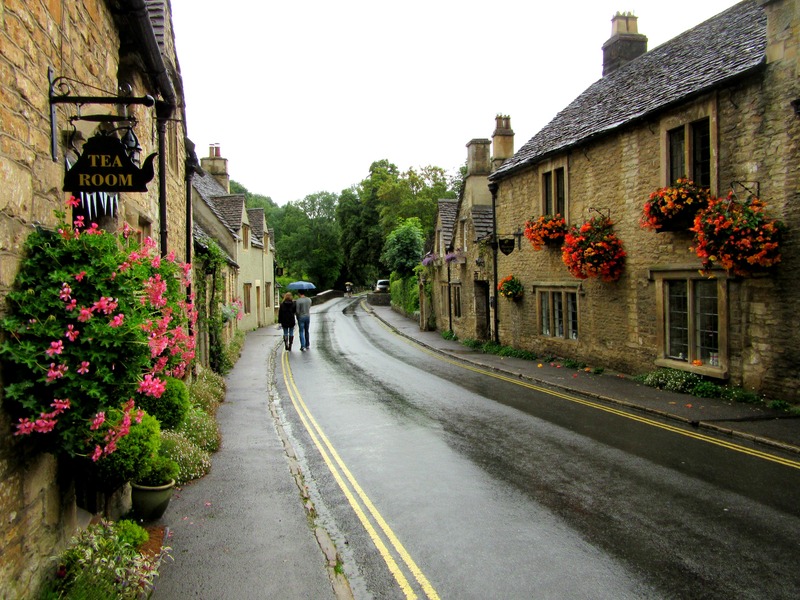 Ah, I love the Cotswolds! I’ll be going to Bath in the beginning of December, maybe I should stop by…absolutely beautiful pictures indeed but not as beautiful as you…and Mr Ayla. . 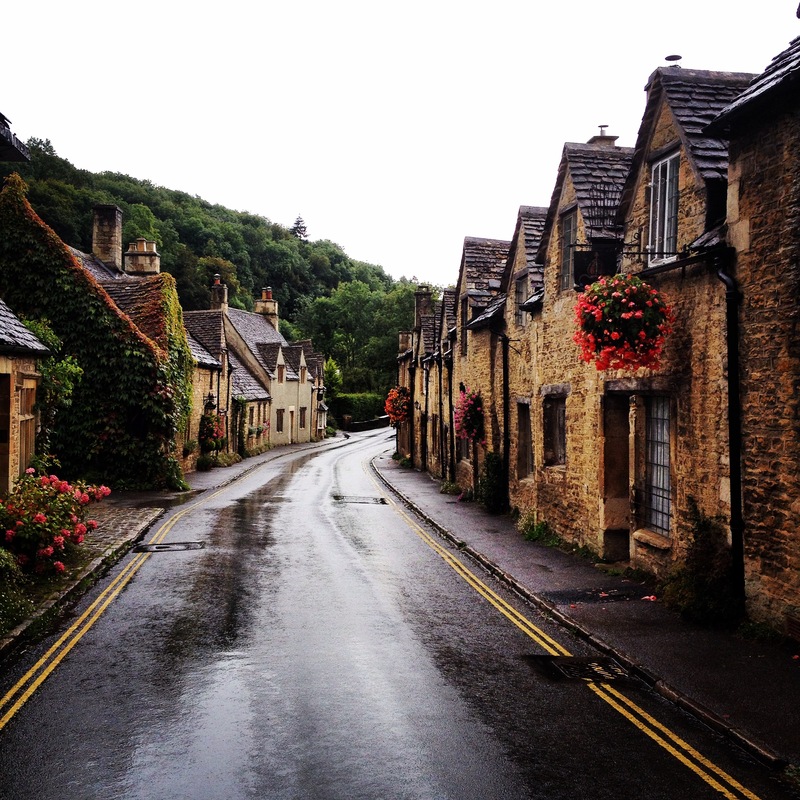 I love the Cotswolds! Your photos are so pretty. Makes me want to go back and see more! Haha! 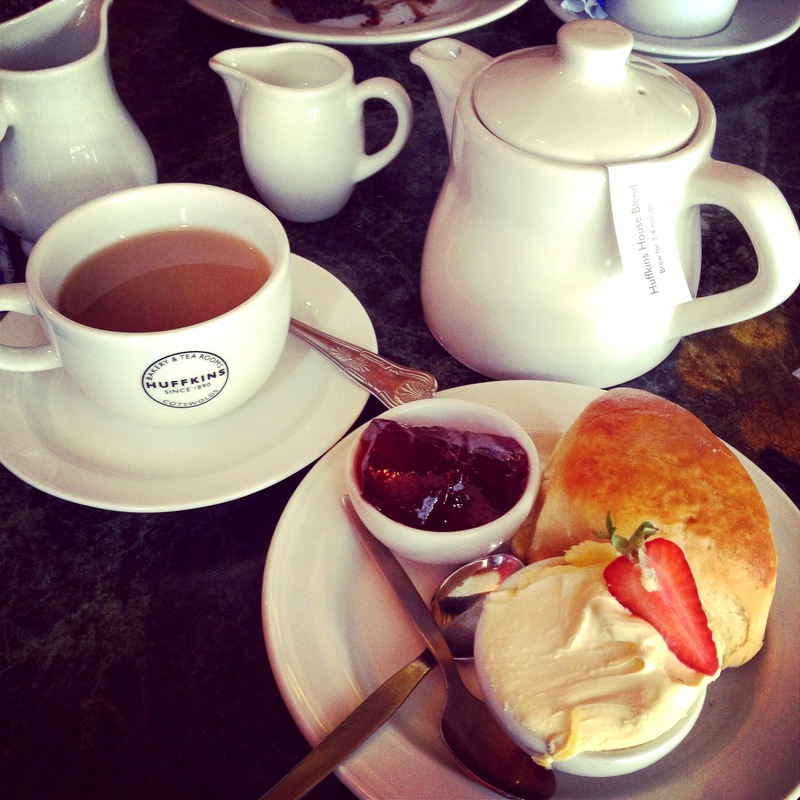 You would definitely love the cake in the Cotswolds! 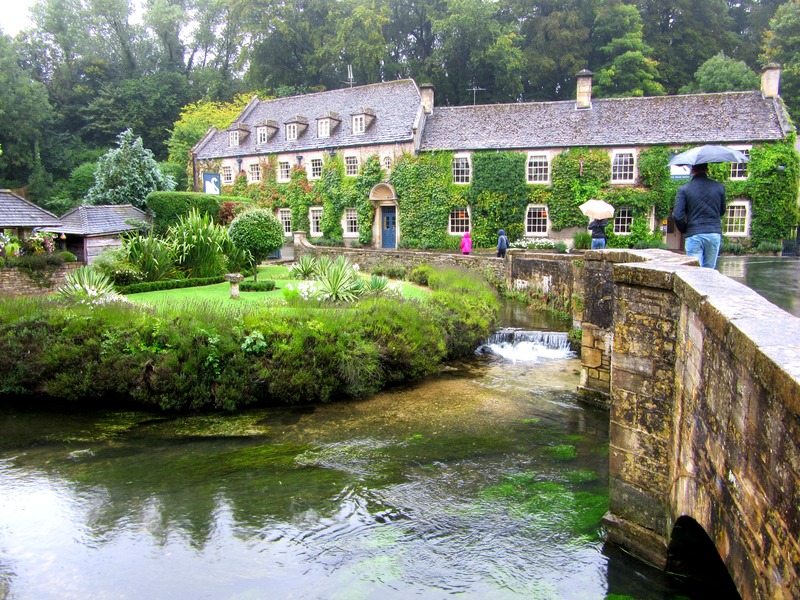 Lovely – I’ve never been to Bibury (despite living about 15 miles away!) but looks gorgeous. 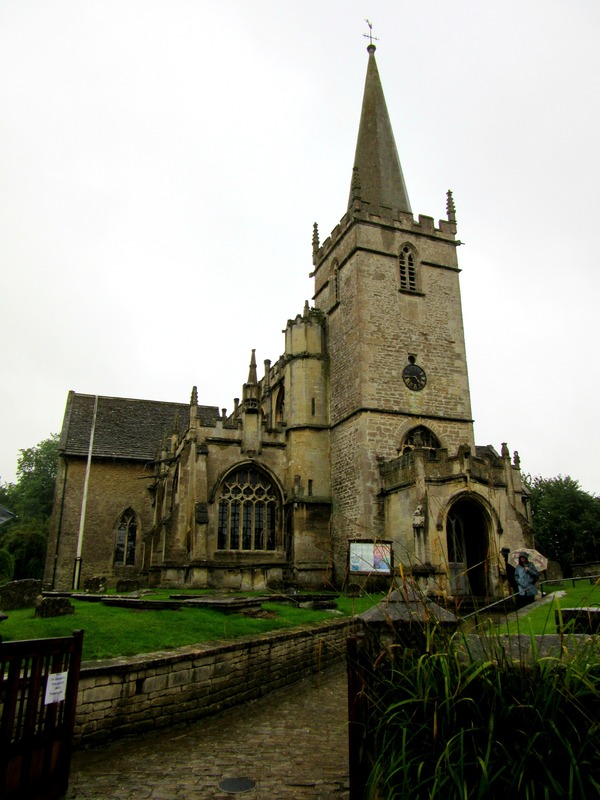 Have a Cotswold weekend planned in January so will have to get out and actually see a bit more. 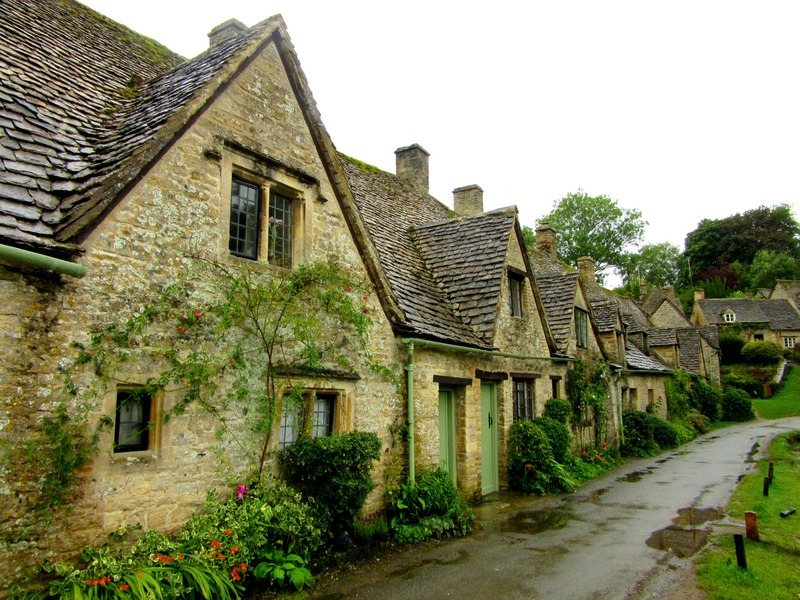 Bibury is just picture perfect – I can’t believe you’ve never been! 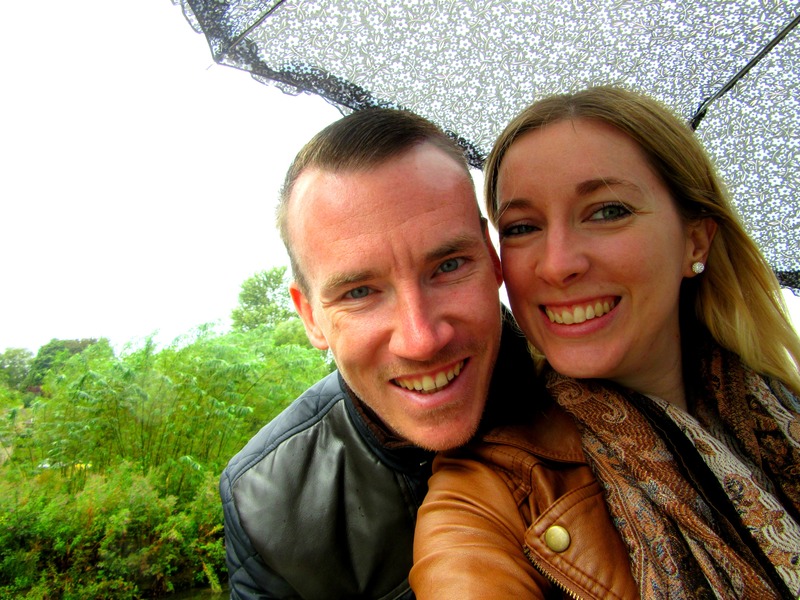 Can’t wait to see your pics!